The idiot-proof web development tool returns, but is simple simply not enough? 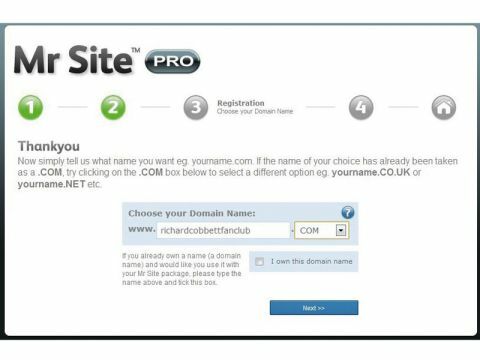 When you've plumped for a domain name, building a site with Mr Site is a six-step process. You start by selecting a design from the 106 blog templates available. You can then personalise and tweak it, add extra pages and drop your words and images in. A couple of clicks later and your site is published online at the domain you specify. The speed of construction is impressive; the quality less so. However, we doubt that web beginners will care too much. If free platforms like Wordpress prove anything, it's that you don't need to be an HTML-savvy code jockey to build a website. However, there is a steep learning curve, and the trio of Mr Site Takeaway Website products are aimed squarely at those people who don't fancy the climb. The Pro edition is the most expensive (£99 plus an £8 yearly renewal) and designed for small businesses. As a result, it features significantly better ecommerce options including Advanced Express Checkout, stock control and a full order history.